Alaska has an abundance of well maintained and safe State, Federal, Municipal and Private Campgrounds. Here are some links and information, organized by area of the state, to help you in planning your travels. Some campgrounds offer reservations (primarily Federal & Private), while most are first come first serve, with a 7-10 day stay limit. Most Private campgrounds on the Kenai River, like Kenai Riverfront, book for the entire season for one flat price, and can be hard to get a reservation at unless you plan at least a year in advance. We're happy to help you sort through the options, sharing our own camping experiences in Alaska with you. At the same time, we can help you book a guided King Salmon charter on the Kenai River, a Halibut charter in Homer, Seward, or Ninilchik, or any other of our popular Alaska Top 10 Daytrips. 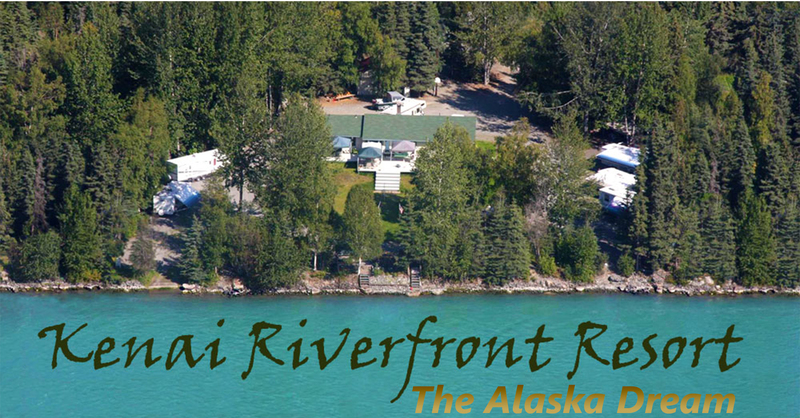 Kenai Riverfront RV Resort--Private, family operated, 1st class RV Park lcoated directly on the Kenai River. Unsurpassed Red Salmon (sockeye salmon) fishing access with electric/water/showers/Wifi and much much more. Centennial Campground--Operated by City of Soldotna. Located on the Kenai River, just downriver of the Sterling Hwy bridge. Close access to town. Boat Launch. Dry camping, no hookups. No reservations. Swiftwater Campground--Operated also operated by the City of Soldotna and located on the Kenai River, off East Redoubt drive behind Fred Meyer. Dry camping, no hookups. No boat launch. No reservations. Morgan's Landing Campground--Alaska State Parks. Boat launch, dry camping, no hookups. Bing's Landing Campground--Alaska State Parks. Boat launch, dry camping, no hookups. Izaak Walton Campground--Alaska State Parks. Boat launch, dry camping, no hookups. Funny River Campground--Alaska State Parks. Boat launch, dry camping, no hookups. Quartz Creek Campground--U.S. Forest Service, Kenai Lake. Dry camping, flushing toilets, boat launch. This campground offers reservations online. Incredibly majestic mountain views and gorgeous fall foilage like the photo above. Russian River Campground--U.S. Forest Service, on the Russian River. 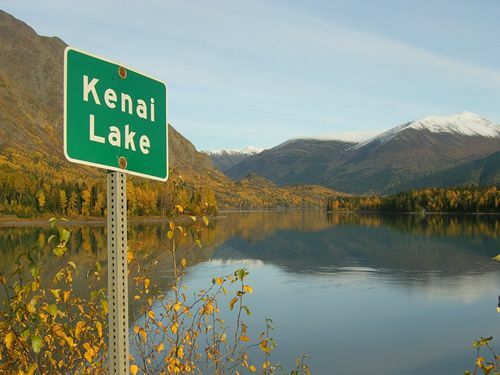 The biggest campground on the Kenai Peninsula and a mecca for fishermen worldwide. This campground offers reservations online. Cooper Creek Campground--U.S. Forest Service, on the Kenai River. Modestly improved, natural campsites with fire rings, located right on the Kenai River in Cooper Landing. Bank fishing late in the season (August/Sept) can be good for Reds/Silvers and rainbows. Nice option if you want a rustic campground in nature, except for the highway noise, it's too close. Russina River ferry is 10 minutes away. 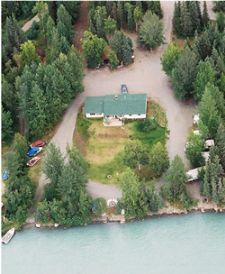 Kenai Riverside Campground--Privately run with facilities, office, open style RV Park with pull through spaces. Not much privacy between rigs, but great centralized location in Cooper Landing on the Kenai River just below Kenai Lake. Russian River ferry is 10 minutes away. Crooked Creek State Recreation Site--Alaska State Parks. The best public bank access on the Kasilof River, but don't expect solitude unless the fishing is slow. Very basic facilities, day use & overnight in an open lot. Adjacent private campground offers slightly more services for slightly more money. Clam Gulch State Recreation Site--Great site with modestly improved campsites on the bluff above the famous clamming beach of Clam Gulch. Drive down to the beach with 4-wheelers or 4-wheel drive only, otherwise keep your vehicle up at the State Rec Site/campground and walk, but bring some water and be prepared to haul your clams up hill on the way back. Johnson Lake State Recreation Site--Located across the highway and up a short gravel road from Crooked Creek/Kasilof River area. Good option if Crooked Creek is too crowded or you want more of a "camping" experience. Fishing in the lake is only so-so for trout, but you can swim too. Homer offers several camping options on the Homer spit from cheap to expensive. Contact the Homer Chamber of Commerce or just drive down to the spit when you arrive and take your pick, they are seldom ALL full at once.